Green plastic coated wire twists which can easily be twisted round plant stems and canes alike to provide support. The plant wires are lightweight and very flexible which makes them ideal for a very wide range of uses. The plastic twists are ideal for supporting stems and flower heads. Simply and easily twist into place and can be just as easily undone if needed. Each plastic coated plant wire twist is 25cm or 10" in length. Pack of approx 200 twists. 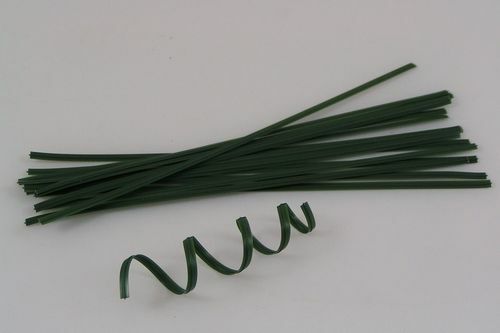 Also available in packs of 10cm, 4" long, and 15cm, 6 inch long green plastic coated plant twists.